Wow! This is one of those books that is going to have me thinking about it for days! Definitely an intense read, that kept me on the edge of my seat wondering what was going to happen next. Horror and mystery abound, with a little bit of romance thrown if for good measure, I didn't want to put it down. The characters in this book are so realistic, the author made them feel like real people to me. Liberty, Cassius, Noah, Gemma, Denzil, and the list goes on to include several other side characters, they all were so likeable and unique. Each and every one of them are written so well that their personality is plainly visible, not a lot of authors can pull off such in-depth characters the way that Emma Silver has. It is so hard for me to pick out a favorite because I liked all of them, but Cassius certainly grabbed my attention from the beginning. 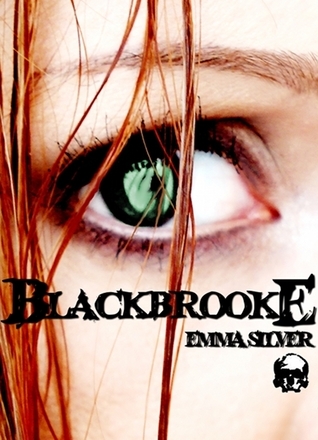 The story was great, it had me dying to find out what was going on in Blackbrooke, and although I thought I knew early on, I most certainly did not! The pacing of the story was also really good, there was suspense throughout, but just enough to keep me wondering without overdoing it. The horror element was great too, those Crits are pretty scary! Overall the book was an excellent read! I didn't want to stop reading it! Cliff-hangers drive me batty, and even though I know that it's supposed to be a trilogy, I still felt like I didn't get enough! It was really, really good though and I'm going to be going crazy wondering what happens next.